The Rohab Ensemble features three acclaimed maestros from the celebrated Dastan Ensemble – Hossein Behroozinia (barbat – lute), Said Farajpoori (kamancheh – spike fiddle) and Behnam Samani (tombak – goblet drum) – together with Hamid Behrouzinia (tar – lute). They are joined by the entrancing vocalist Sepideh Raissadat, who started her training with Parisa and in 1999 became the first female vocalist to have a solo public performance in Iran after the 1979 revolution. 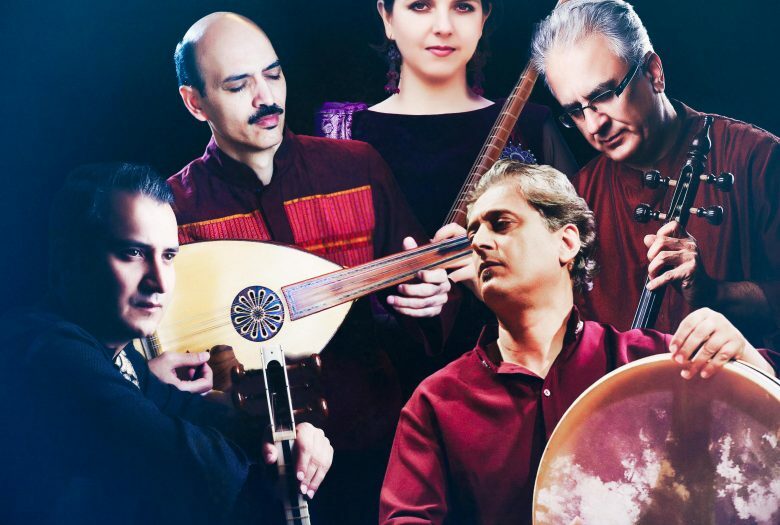 Their repertoire of classical Iranian music features romantic, melancholic, and joyous pieces whose lyrics include works from the vast treasury of classical Persian poetry.